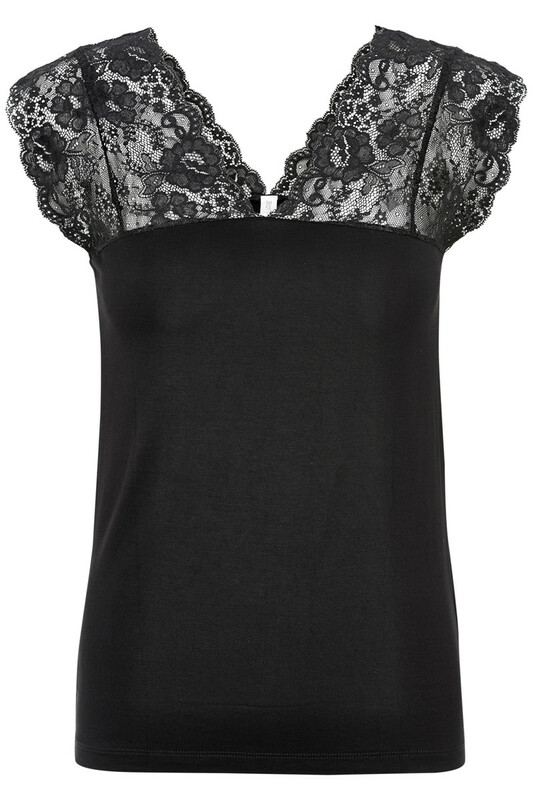 Elona Strap Blouse is a beautiful and feminine basic T-shirt with lace effect. The blouse has a tight fit in a soft viscose quality. The blouse is getting a unique expression with the wide laces. This blouse can be styled for a skirt or a pair of raw jeans, depending on the purpose it is intended for.